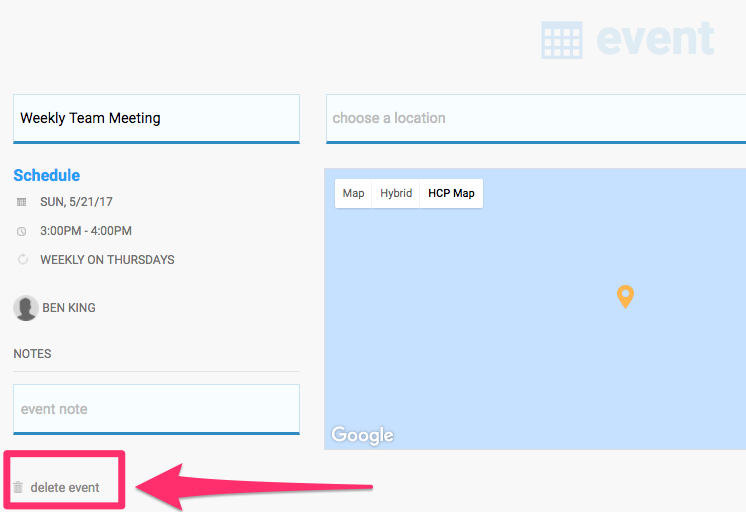 Click on the Calendar tab on the top left of your admin dashboard. From your calendar view, click on the event. From your calendar view, click on the event. 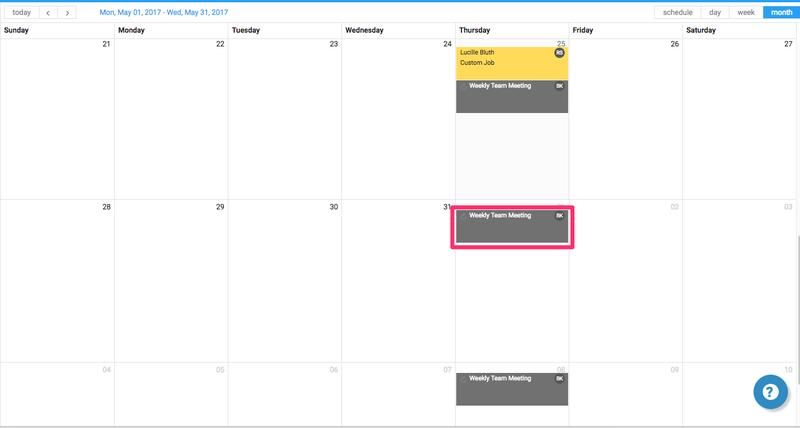 This example shows the Calendar on the Monthly view. This will bring you to the event details page. Click on 'delete event' on the bottom left hand side underneath the notes section. A window will pop open asking you to confirm the deletion. Click the red confirm button and you're all set!